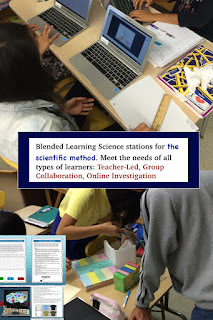 Students learn in different ways which is why the blended learning model is such a great way to differentiate your teaching and help them understand the concept in a way that works best for them. There are four basic models with blended learning: Rotation model, Flex model, A La Carte model, and Enriched-Virtual model. 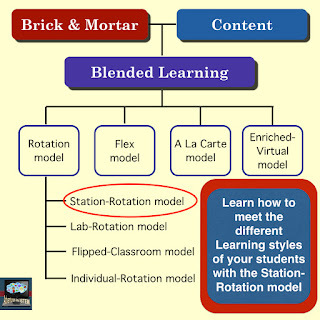 I will be focusing today on the Rotation model with an emphasis on Station-Rotation. When I do Station-Rotations I like to have 2-3 stations that the students move through. The three stations I generally have is an online station, a group collaboration station, and a teacher-led station. 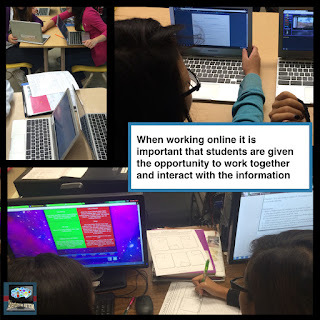 In the online station students work pairs to investigate the topic by either doing a virtual lab, watching a video, completing a digital interactive notebook, or using thinklink to navigate through different websites, videos, and pictures that will then allow them to learn the topic. The important part about the online station is that they need to work in pairs and discuss what they are doing and seeing. Some people put students in front of computers for the whole class time and the students are silent, there is no interaction with someone else to discuss what they are learning. This is, in my opinion, is not a good thing especially for EL learners. They need to talk about what it is they are doing, what they are seeing, their understanding of it. Another important part about the online station is that their needs to be interaction with the information and an accountability piece. When my students do a virtual lab one student will have their computer open to the virtual lab and the other student will have theirs open to either a google form where they will be answering questions or a lab template that they are filling in on google sheets. If they are watching a video or doing a thinklink investigation, they are taking notes, answering questions, and summarizing the main ideas of their investigation. I have also given them a digital flip book that they work on together to complete. Using an LMS like Schoology or Google Classroom makes it easier to give students directions and lead them in what they are suppose to do. 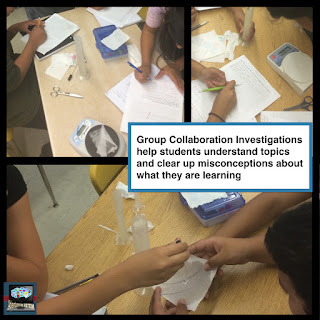 Group collaboration stations allow students to do some hands-on learning. The students work together to do a lab, create a poster, work with manipulative's, or complete a learning task. To help with the organization of this station it is important to assign students roles, to have clear instructions, and to make sure they have a finished product at the end that they are held accountable for. I try and incorporate more of a business setting so I have the CEO (leader), Reporter (speaker/writer), the IT director (materials person), and the Ambassador (person that can talk to other groups or the teacher). This station is my favorite station out of the three. Sometimes as teachers we find it difficult to really meet the needs of all our students and give them that special one-on-one attention they deserve. Especially in a secondary setting when you might have 36-40 students in a class and you only have an hour with them. That is why this station is so important. 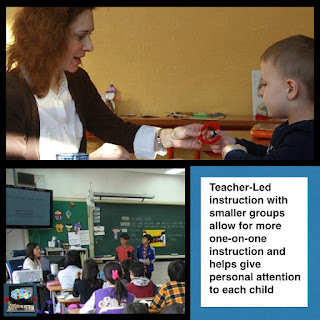 Instead of working with the whole class you are able to work with a small number of students. You can keep this station the same for every group and teach the same thing or you can differentiate it for each group. Most of the time I like to divide my students up by ability level for that topic. When I do that I am able to meet the needs to the students when they come to my station. For the students that are struggling we might practice the information, I might reteach it, or we will do some basic activity. For the students that have a good understanding I might have them learn about some real world applications and help them work with higher level thinking tasks to see how deep we can go in their understanding. My students love the more one-on-one this provides and feel that they were finally challenged in ways that are more difficult to do in a whole class setting or that they finally understand the topic because of the individual help.